If you are not tracking your income and expenses properly, consequently you will have issues come tax time. You can use a simple spreadsheet to track your finances or accounting software like Freshbooks or QuickBooks Online. 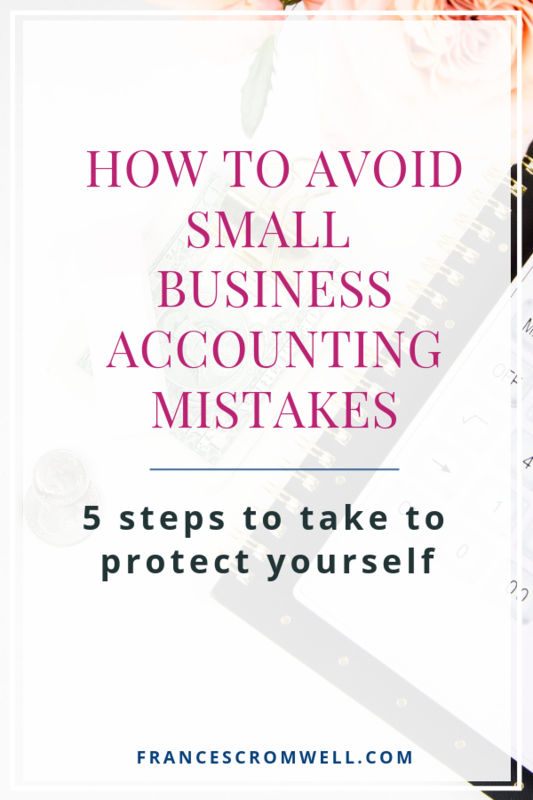 I have never personally been through a tax audit of my own books, however, from my days working for a large public corporation, I know first hand how important it is to provide backup for expenses and income. In my corporate life, I participated in over half a dozen required audits and I saw first hand the ramifications of not having a backup for expenses. Don’t cause yourself big headaches later, save your receipts now! After you come up with a great business name, register with your state and get a license! Check your state’s department of revenue website for the business license application (a quick Google search should bring it up). I recommend filing as an LLC or S Corp, they provide you protections that being a sole proprietor does not. I am a registered LLC with my state and I am an S Corp with the IRS for tax purposes. In order to do that I filled out IRS Form 2553. If you have questions about which legal status to choose consult with your CPA. 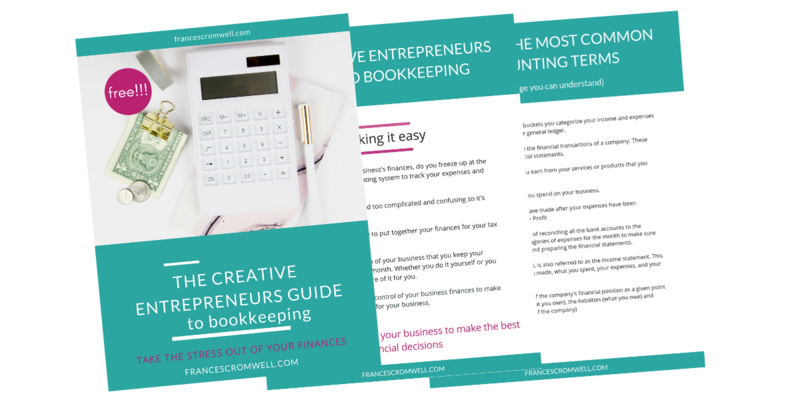 As a small business owner, you can structure your business in different ways. According to Gusto, here are 3 ways to set up your business. The sole proprietorship is the most basic type of business entity. All the assets belong to the business owner, but also the liabilities. Because of this, your business is not taxed separately. Instead, your business’s income is your income, and you usually report it with a Schedule C and the standard Form 1040. And don’t forget you’ll also need to make estimated tax payments quarterly if you expect to make a profit. Learn how to avoid paying estimated quarterly taxes by paying yourself a salary. (include link to post on salary). A Limited Liability Corporation (“LLC”) is a lightweight alternative to incorporate your business. It combines the tax pass-throughs of a partnership and the limitations in liabilities of a corporation. An LLC may not be taxed as a business entity. Rather, the profits may be passed through to the LLC’s members and they are taxed as personal income. Note that an LLC is a business structure that is covered by state rules. For federal tax purposes, an LLC can be treated as a corporation, partnership, or part of the LLC’s owner’s tax return. You should check with your state, or a tax advisor to make sure you understand how the rules apply to you. If you’re looking to incorporate your business and have it taxed separately, an S Corporation gives you that choice (although you can also set it up as a pass-through entity, like a partnership). If an S Corp is taxed as its own entity, a business owner and her employees may see tax savings since they may only be taxed on their wages. An LLC has an option to file as an S Corp for tax purposes. It’s worth noting that not all states recognize the S Corp distinction from a C Corp. Incorporating your business is important because there are tax benefits. LLC’s are taxed at the same rate as sole proprietor while limiting the exposure to personal liability. Both LLC’s and corporations can deduct normal business expenses, including salaries, so this positively affects your accounting and taxes. Now you have a business name, you’re registered and you’re legit! An Employer Identification Number, (tax ID number), means that as an LLC you have your own tax ID number and do not need to use your social security number. I received my EIN when I elected to file as an S Corp with the IRS, you do not have to do this to get an EIN. An EIN means you do not use your social security number for business purposes. In addition, if you want to sign up for affiliate marketing programs you may have to give them your social security number if you don’t have an EIN, and I don’t want to do that. If you want to get an EIN or learn more about it go to the IRS website. A big mistake I see entrepreneurs make is not opening a separate business checking account, this is a big entrepreneur mistake. You may be an accidental entrepreneur, but the moment you start making money you need a separate checking account. For proper accounting purposes, and taxes, you need to separate business funds from personal. Bottom line, don’t mix business with pleasure! There are two big and costly mistakes I have seen entrepreneurs make over and over. The first one is they don't track their business finances. Saving receipts and recording income and expenses is vital to doing your taxes. The second one is they get an accounting software, however, they record their transactions improperly. This can present a big headache at tax time. 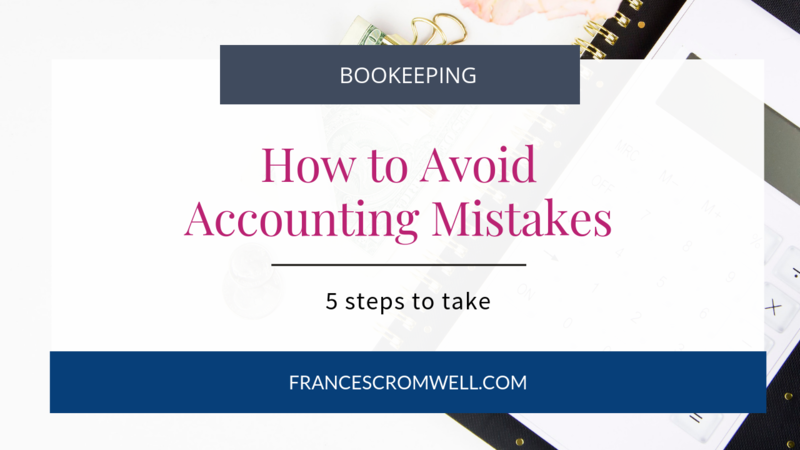 You will spend a lot more money on your CPA when she has to clean up your books just to prepare your taxes. When in doubt hire someone to set up your books and teach you how to do it. Click here to learn about my services. If you don’t account for your money properly, or set your business structure upright, you can risk some costly mistakes with your taxes. Knowing how to structure your business will affect your taxes, keep that in mind. Saving your receipts and tracking all your income and expenses will save you hours of time and ensure that they are properly reflected in your taxes. As a sole proprietor, your business taxes are combined with your personal tax return. As an LLC your tax bracket is roughly the same as your personal taxes. So what does that mean in English? You will need to save roughly 25% of your earnings because that is about how much you will be taxed on, 25% of your profits. Consult a tax accountant who can help you figure out how much you need to save for taxes. In addition, do not use your business debit card for personal use. Rather, withdraw the money and deposit it in your personal account first. Furthermore, this money is taxable! One way to avoid dealing with paying estimated quarterly income taxes is to become an employee of your company. As an LLC, I did this by registering as an S Corp with the IRS. I pay myself a salary with Gusto, which I have put many of my clients on and they love it. Learn how to pay yourself a salary and leave the payroll taxes to someone else! Remember, all the money you earn, including affiliate marketing income, is taxable. Therefore, do the right thing and have all your earnings deposited into your business checking account. Don’t try to cheat the IRS. Let me know in the comments below if you have faced any of these issues. If so, have you resolved them and how did it go? Disclosure: This post includes affiliate links. I earn a commission for any items you purchase through my links. I only recommend products I have used and love.